Legacy of Discord is introducing a brand new rewards event to our players! From Nov 19 to Nov 22, the new Monster Hunter event will be online. How many monsters can you hunt? 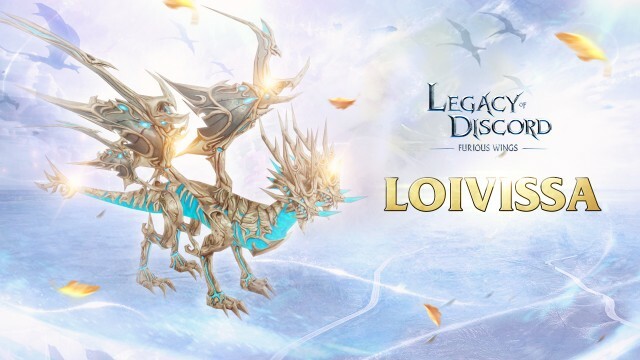 Seize the chance to win new pet Loivissa! Two-headed dragons normally dwell in the Arctic Glaciers of the far north. Few people will ever see a dragon in their lifetime, but a two-headed dragon is even more of a rarity. The reason why they are rarely seen is that they can seldom reach a consensus. The heads always argue about which village to raze, what the tastiest livestock is, and where to place their treasure hoards. Whenever there is more than one option, there will be conflict between the heads. Only hunger can drive them out of their glacial caves. When the Guardians tamed these difficult beasts, they quickly learned that two-headed dragons can never be fully controlled. Be extremely patient when handling them, or things will not end well for you.